Beginning on June 19, CDA will operate a Terminal Transfer Bus (TTB) service to transport ticketed passengers connecting from American Airlines domestic arrivals in Terminal 3 to international departures at International Terminal 5 via the secure side of the airport. 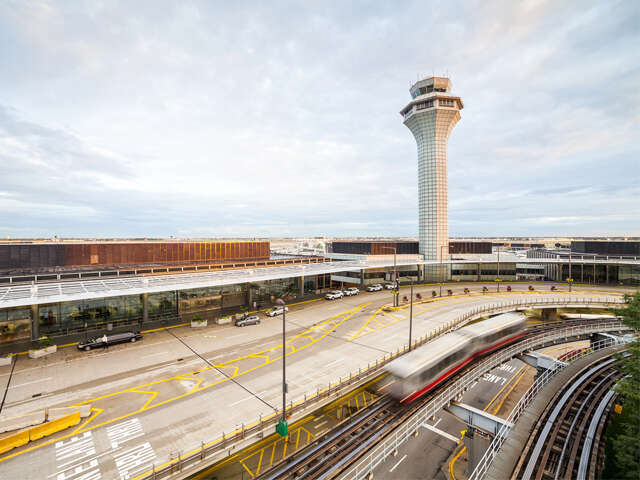 In addition to the direct benefit for connecting passengers, the Terminal Transfer Bus is expected to benefit Chicago international travellers through a daily reduction of passengers at the TSA checkpoint in Terminal 5. The volume of passengers using the T5 security checkpoint could be decreased by as many as 1,000 passengers per day, which will in turn shorten security lines and wait times for passengers during peak periods. This improvement will further the progress that both Midway and O’Hare International Airports have made over the past year, offering consistent improvements to security wait times, while maintaining the secure conditions that enable safe transport of more than 100 million passengers each year. Passenger wait times at both airports are among the lowest for the largest airports, with passengers waiting, on average, under 10 minutes, even during peak travel times. With international passenger traffic increasing consistently at O’Hare—already up by more than 7 percent in 2017—and service expanding to serve more than 1,000 departures daily, investments like these are critical in providing faster and more accessible connections for passengers. The TTB will also alleviate an increase in passengers projected from two key new capital projects underway. The expansion of Terminal 5, the first major update to this terminal in over 20 years, will add nine new gates by 2020, increasing gate frontage by 25 percent. Additionally, American Airlines is building five new gates that will open in Terminal 3 next year. These and other investments are part of Mayor Rahm Emanuel's O’Hare 21 vision, a multi-billion capital investment program designed to strengthen one of the city's biggest economic drivers by: modernizing terminals; creating space for new gates; and expanding international capacity to connect travellers and Chicago to other parts of the world—all while supporting thousands of new jobs and economic opportunities locally.